Steve Lacy says of Lefteris Kordis: "Talent like his is rare." 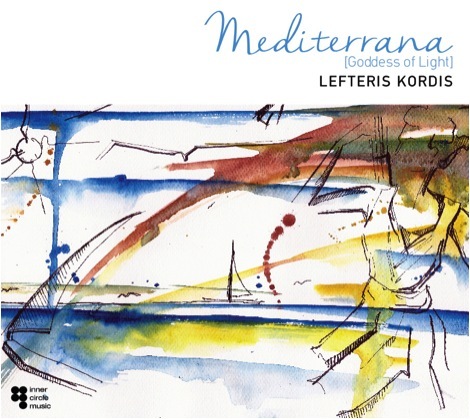 Danilo Perez notes: "Lefteris Kordis's music is an abundant source of inspiration." 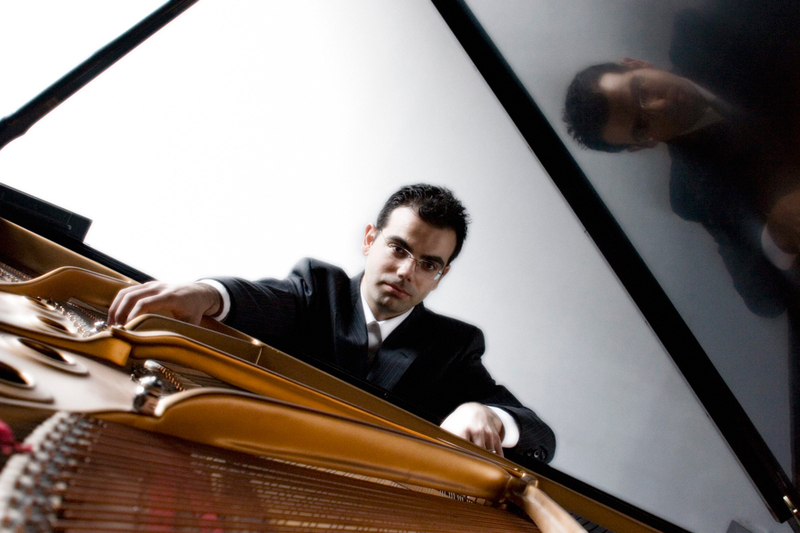 Lefteris Kordis is an Athens-born and Boston-based pianist. 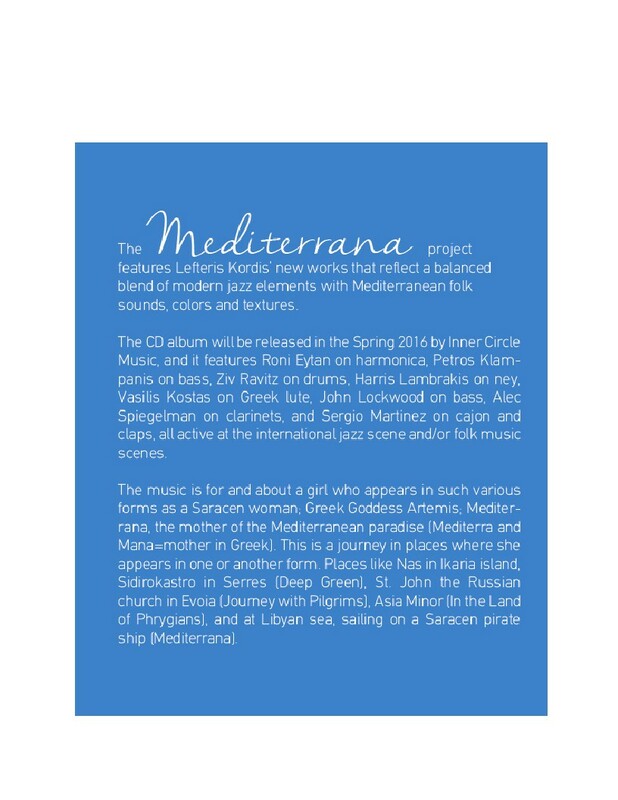 Mediterrana (Goddess of Light), his fifth album as a leader, is an engaging, Tristano-esque exploration of traditional Mediterranean sounds. The album will be released July 26, 2016 on Inner Circle Music (INCM 052CD). Kordis has been in the US, often in the orbit of Boston's esteemed New England Conservatory, for nearly two decades, accumulating jazz credentials with the likes of Steve Lacy, Greg Osby, and Sheila Jordan. For this record he's assembled a piano-trio-plus-guests, with drummer Ziv Ravitz and bassist Petros Klampanis at the core. Boston stalwart John Lockwood also performs on one track along with numerous other guests. Kordis comes from a heady post-bebop tradition. He's absorbed not just the language of Tristano, but also of two Boston piano icons. From Ran Blake, he borrows a wild harmonic imagination and an impeccable touch: hear how he finds unfamiliar beauty in "And I Love Her", by the Beatles. And from studies with the influential late Boston pedagogue (and fellow Greek-American), Charlie Banacos, he's developed ear-bending facility. Kordis has the fingers and the musical mind to immediately follow any hint of redirection from his quick-witted bandmates. 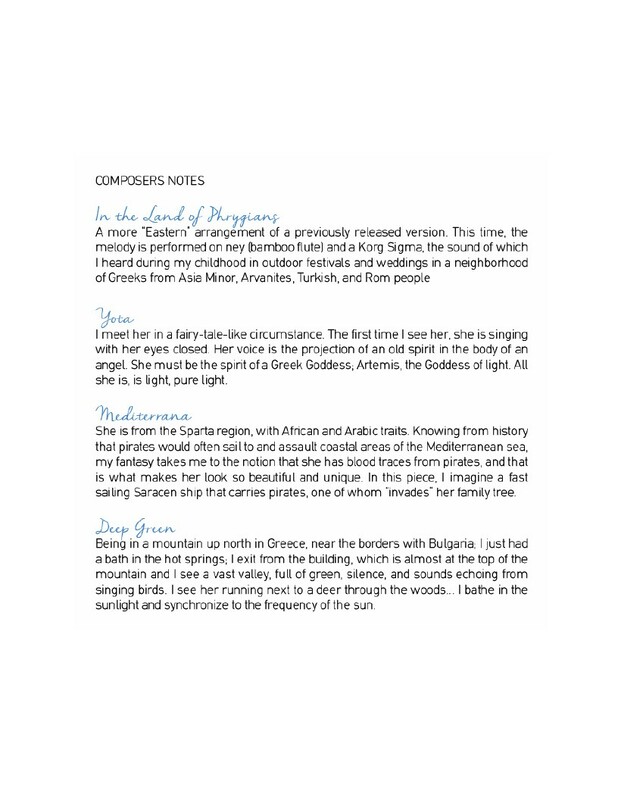 His thorough connection to Greek music begins in heritage - Kordis is the grandson of a Byzantine cantor - but goes much deeper. 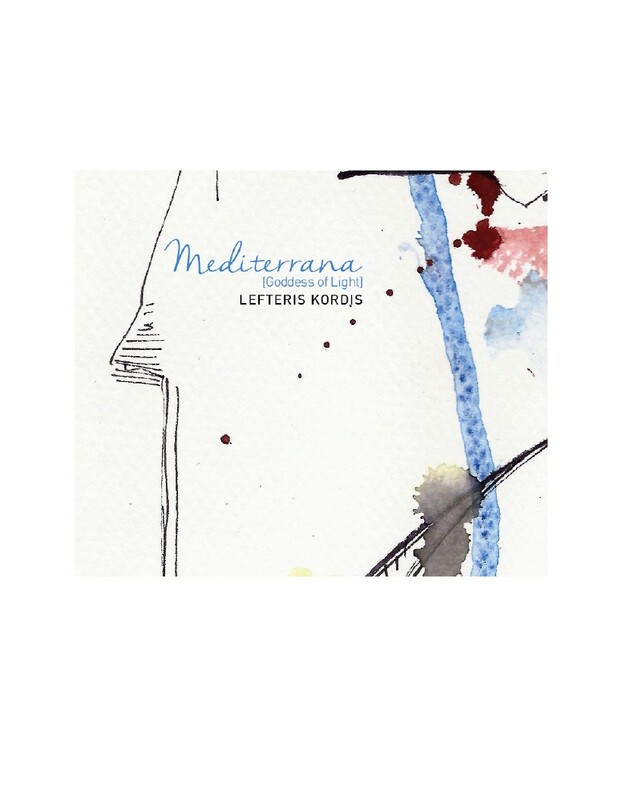 Paralleling his impressive career as a young jazz pianist, Kordis has quickly become an in-demand instrumentalist in the international Hellenic community, collaborating with noted composer Mikis Theodorakis, traditional clarinetist Vasilis Saleas, and the singer Panayotis Lalezas, among others. A variety of timbres on this album highlight the Hellenic tinge. Harris Lambrakis, on ney, opens the first track (In the Land of Phrygians) with grit and an earthy, disruptive joy. His playing is full of intimate ornamentation and inflections common to 'folk' music but too little heard in the context of modern jazz. 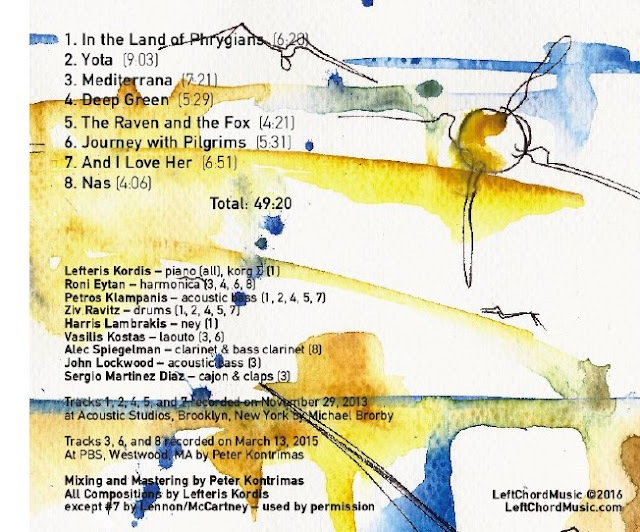 Vasilis Kostas - on laouto (a Greek fretted lute), Roni Eytan - on chromatic harmonica, Sergio Martinez - on percussion, and Alec Spiegelman - on clarinet, all inject raw and unguarded lyricism into the music. So does Kordis; with an analog synthesizer (as found in many Eastern Mediterranean wedding bands), he bends and wails and moans like an Epirot clarinetist. What's more technically impressive is how he bends and wails and moans, in equal measure, on that unforgivingly tempered and quintessentially Western instrument, the piano! You may, of course, listen with none of that in mind. All of the aforementioned instrumental mastery is in service of the music. And Mediterrana is an engaging and original set of music by a pianist constantly creating new sounds. 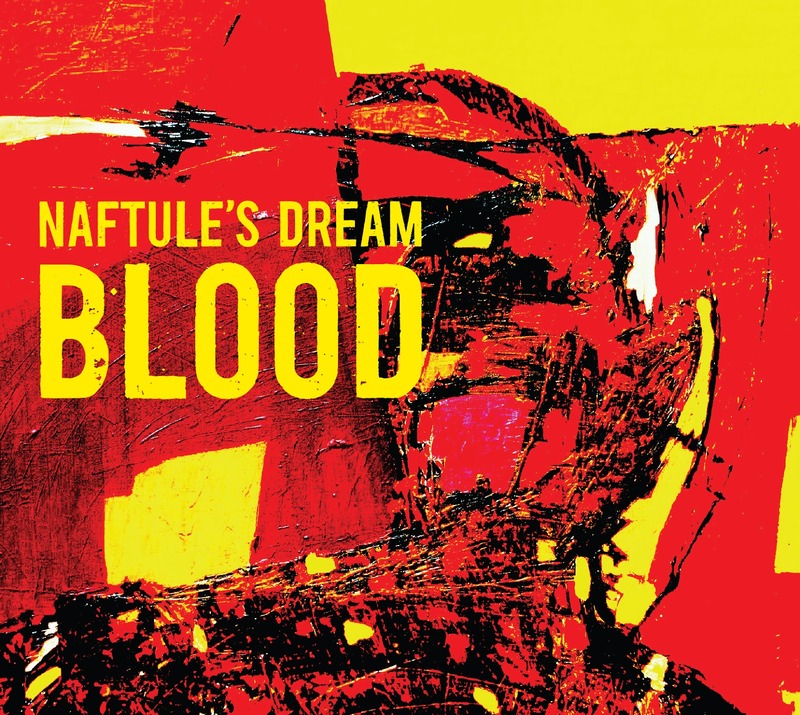 Naftule’s Dream, whose seminal recordings in the 1990’s helped create the Radical Jewish Culture movement and jumpstart John Zorn’s Tzadik label, has released its first new recording since 2002, Blood (NDR 103). The band known for its eclectic, edgy approach to Jewish music, once again produces a memorable album of musical explorations, penning klezmer-rooted compositions with performances which draw on rock, free-jazz and even ambient music for inspiration. 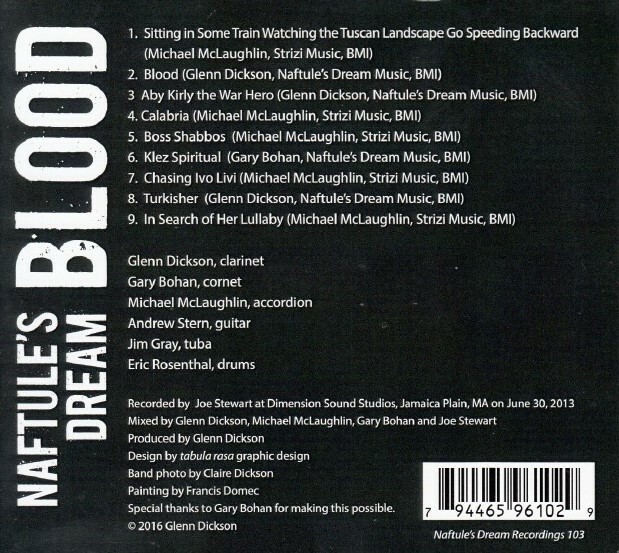 Naftule’s Dream was founded by clarinetist/composer Glenn Dickson as an offshoot of his traditional klezmer band, Shirim, to give voice to more adventurous musical ideas. It quickly exploded, as the musical creativity of the musicians was unleashed in extraordinary compositions by Dickson and accordionist Michael McLaughlin. Their original works, though rooted in klezmer rhythms, modes and forms, draw from a wide pallet of styles. Over the years the band has evolved into a unique, uncategorizable, challenging-yet-entertaining troupe that has played new-music venues, major international jazz festivals (Montreal, Berlin, Graz, New York) and concerts across Europe and the US. 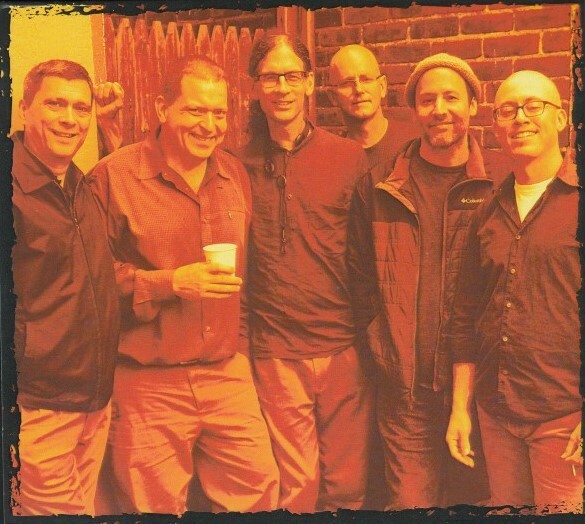 Blood, like its predecessors, is powered by the unique tuba-driven rhythm section, featuring founding members Eric Rosenthal (drums) and Jim Gray (tuba) and McLaughlin (accordion). New to the mix is Boston-based guitarist Andrew Stern. The melodic duties are shared by Dickson (clarinet) and cornetist Gary Bohan, who began touring with Naftule's Dream in the early 2000s, but has not previously recorded with the band. 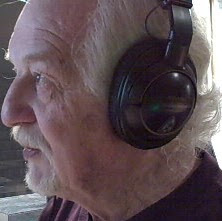 The album opens with the spacious, almost ambient, McLaughlin composition, "Sitting in Some Train Watching the Tuscan landscape Go Speeding Backward," which sets the tone for a deeply introspective album which mines the meditative eastern elements of klezmer music as well as the more celebrated exuberant energy of klezmer music. It evokes a Romanian style doina with a soaring melody over a hypnotic rhythm, with Rosenthal's cymbal pattern filling in for the insistent cymbalom groove . The title track follows, a dark but unforgettable melody which beautifully merges a Jewish khosidl with a slow-burn rock groove. "Blood" is another of Dickson's series of tunes inspired by I.B.Singer's stories, this one a bloody and lascivious tale of a kosher butcher where the cutting of throats and carnal desire became so mixed up that it became hard for him to know where one began and the other ended. 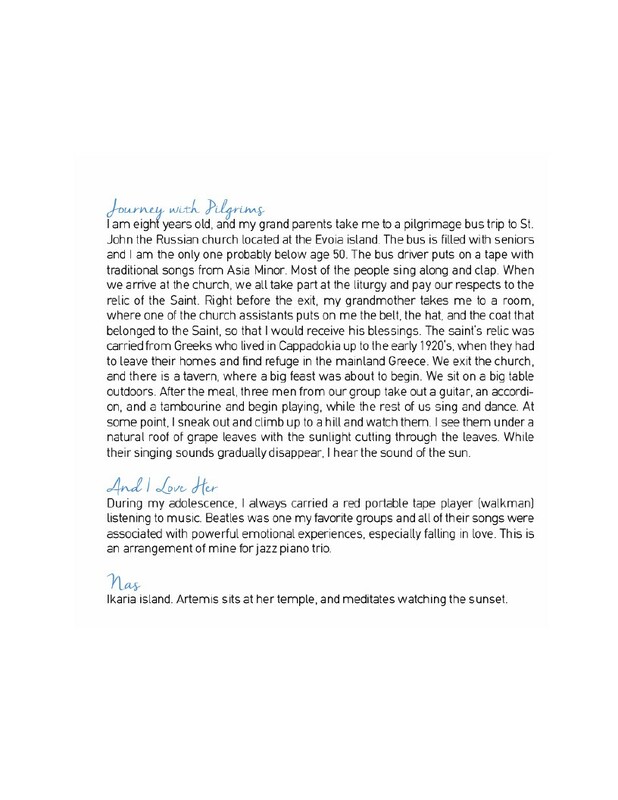 The music captures the disquieting sensuality of the tale: a Jewish inflected tune with ominous rock undertones. "Aby Kurly the War Hero" is a cutting, sarcastic arrangement of a traditional freylakh featuring a trademark group improvisation, with a simmering and exploding cornet lead by Gary Bohan. McLaughlin's "Calabria" returns to the more meditative mode, while his "Boss Shabbos" is a musical adventure which carries the listener through Romanian inspired melodies (with a tuba lead, no less! ), morphing into a Motown groove, and breaking down into a free-jazz cadenza. Gary Bohan's compositional contribution, "Klez Spiritual" mines the rarely explored parallels between gospel and klezmer, and features the spiritual feedback laced beauty of Andrew Stern's guitar solo. This is followed by McLaughlin's epic "Chasing Ivo Livi," a compositional tour-de-force full of manic energy, orchestrational detail, and motivic integrity. As with most Naftule's Dream music, the improvisation is seamlessly integrated into the compositional structure. Dickson's powerful "Turkisher" explores a traditional klezmer dance rhythm featuring the drumming of Eric Rosenthal. McLaughlin's "In Search of Her Lullaby" rounds out the album with a dreamy waltz. On his fourth jazz CD, Answer July, pianist/singer/composer/poet Senri Oe presents eight new original compositions performed by a crew of versatile and talented collaborators, including vocalists Sheila Jordan, Lauren Kinhan, Becca Stevens and Theo Bleckmann. Senri has recorded with singers in the past, but this is the first time he’s featured vocalists on the entire album. 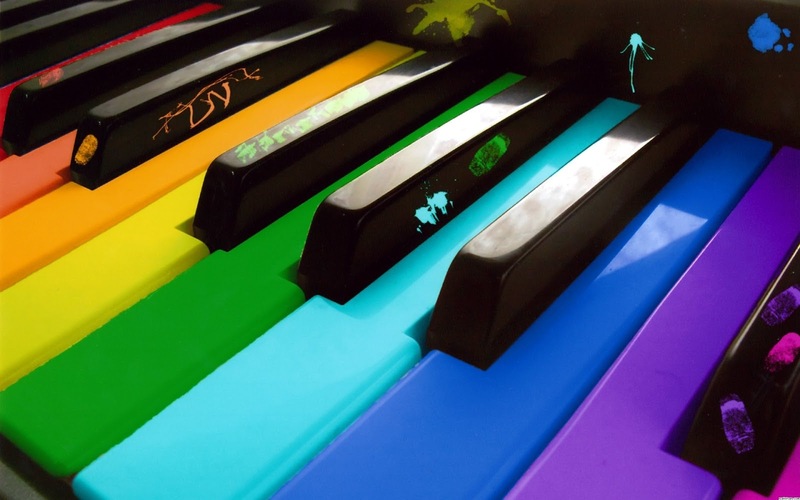 Rather than having his piano in the starring role on Answer July, he aimed to keep the spotlight on the compositions instead of the keyboard. Sheila Jordan: At 87, she has vitality of the teenager she was when she hung by the door of Detroit jazz clubs hoping to hear her idol and main influence, Charlie Parker. To this day she maintains a busy schedule gigging and teaching around the globe, bringing a wonderful autobiographical quality to everything her voice touches. Senri has mentioned her as an inspiration, and has written at least one song for her. Lauren Kinhan: Besides having a burgeoning solo singing career, Kinhan is part of beloved and acclaimed vocal groups such as New York Voices, Moss, JaLaLa, and Bobby McFerrin's Vocabulaires; she also toured with jazz legend Ornette Coleman. Theo Bleckmann: Citing Sheila Jordan as his mentor, the versatile Bleckmann is comfortable with material by Kate Bush, Charles Ives, Berlin Cabaret classics, Las Vegas standards, and his own well-crafted originals. He has collaborated with Laurie Anderson, Philip Glass, Michael Tilson Thomas, Meredith Monk, and others. Becca Stevens: Here’s a singer who tops many a music-lover’s list of vocalists deserving greater recognition. 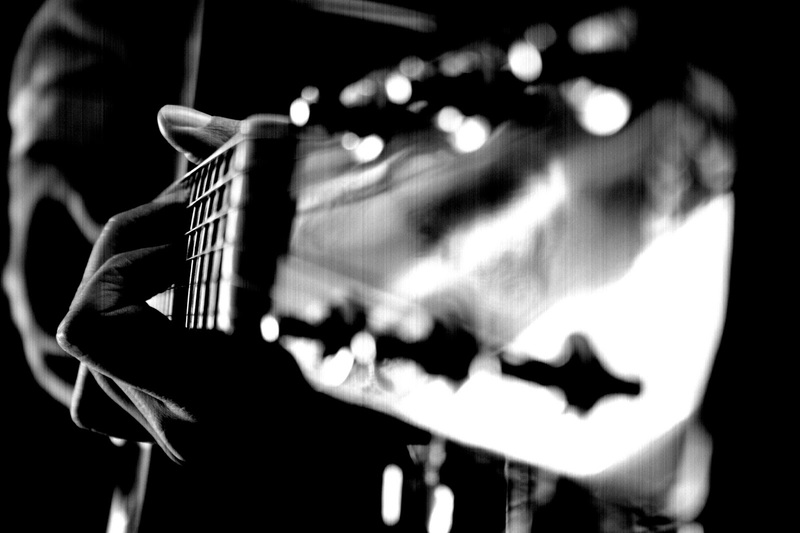 A skilled composer and multi-instrumentalist, Stevens has been inspired by a range of musical genres, including jazz, folk, rock and pop. Dylan Pramuk: This New School graduate is well on his way to establishing himself as a voice to reckon with on the New York jazz scene, as evidenced by his brilliant work on the well-received “Royal Bopsters Project” recording. A veteran pianist and composer, Senri Oe enjoyed a long and successful reign as a pop star in his native Japan. He was so well regarded that a critic favorably compared him with the acclaimed novelist Haruki Murakami, citing a similar Western-influenced blend of the surreal and the whimsical. But Senri put his pop career on hold to realize a childhood dream by moving to the Big Apple in 2012 to study jazz. For many of his longtime fans, Senri’s lyrics are the reason they fell in love with his music; however, he doesn’t write lyrics in English, so he sought out wordsmiths on a similar wavelength to provide words for his new original tunes. 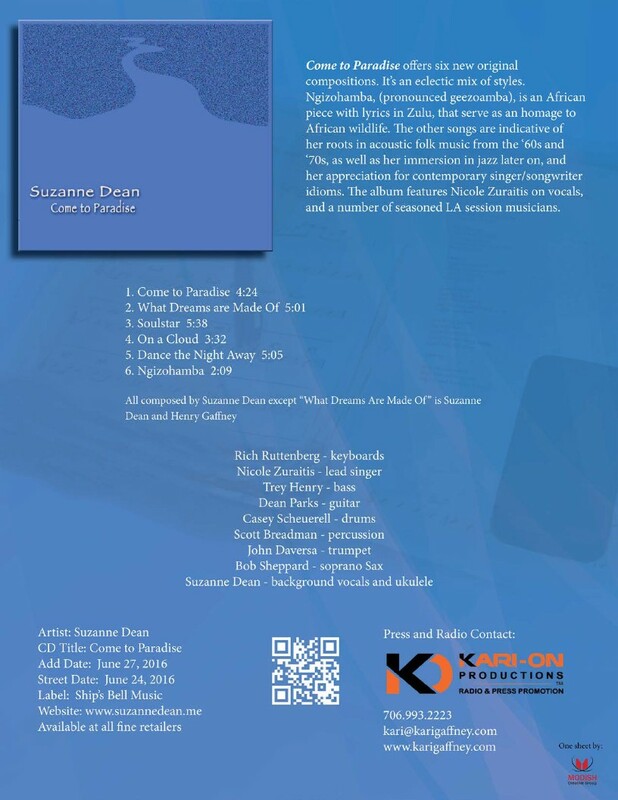 Becca Stevens crafted lyrics for the title tune, Answer July, to go with an instrumental Senri had written in homage to his favorite poet, Emily Dickenson. Lauren Kinhan’s words to “The Very Secret Spring,” a sensitive ballad evoking a long-ago love, were also Dickenson inspired. Nature metaphors pop up in the songs throughout Answer July, including on the title track, featuring Senri’s mellow piano accompaniment as vocalist Becca Stevens demonstrates her surefooted way with a tune. “Without Any Moon or Rain” kicks off with a Monk-ish intro then swings into a lively vocal duet from Lauren Kinhan and Dylan Pramuk, and a cooking tenor solo from Yacine Boulares. 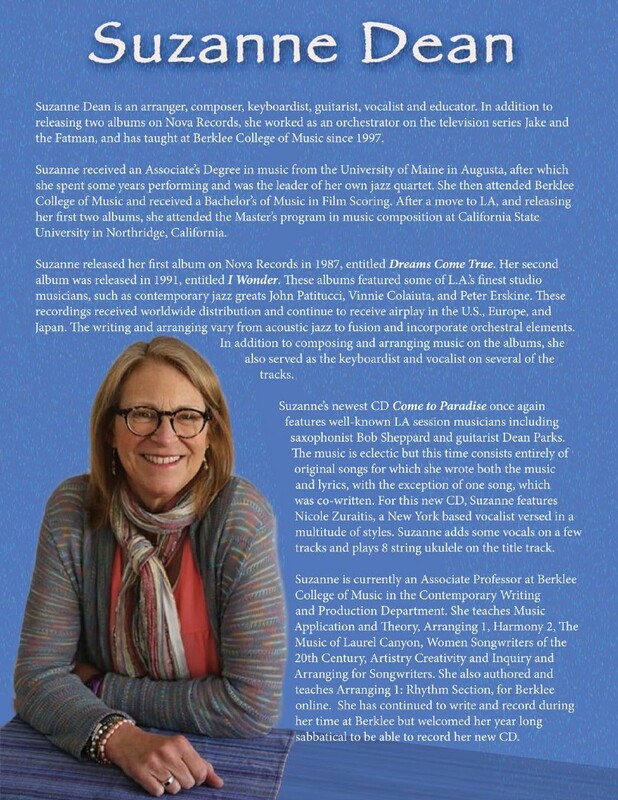 Other Answer July highlights include Theo Bleckmann’s tender vocal on Jon Hendrick’s words to “Just a Little Wine.” Hendricks also penned the lyrics for the charming bop of “Mischievous Mouse,” showcasing singer Sheila Jordan in top form, with background vocals from the New School Singers adding texture. In fact, the words were crafted with Jordan in mind, as she shares a birthday with Mickey Mouse, the tune’s title character. Saxophonist Yacine Boulares: Check out his eclectic education and experience: He earned a philosophy degree from the Sorbonne, studied jazz at the New School, and performed with Placido Domingo, Ran Blake, Jaleel Shaw, Ben E. King, and Tabou Combo. Drummer Reggie Quinerly: Studied with fellow drummers Jimmy Cobb, Lewis Nash, Kenny Washington and others at Mannes School of Music at the New School, and went on to earn a masters from Juilliard. He's played with Wynton Marsalis, Branford Marsalis, Joe Lovano, Greg Osby, and Christian McBride, among other luminaries. Bassist Jim Robertson, singers Junko Airta Mitch Wilson and Travon Anderson, and guests Andy Watson and E.J. Strickland (drums), Paul Tafoya (trumpet) and Olga Trofilmova (trombone) also lend strong contributions. With Answer July, Senri Oe is showing that youthful dreams can become a satisfying reality. 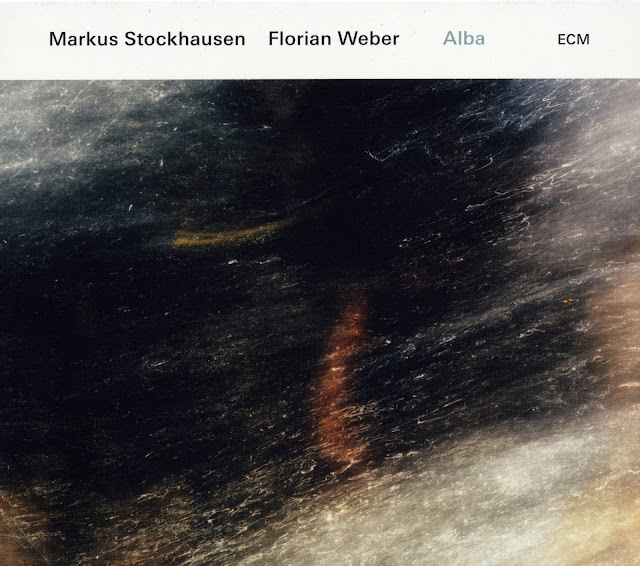 Alba — the first Markus Stockhausen recording for ECM since Karta (2000) — is the premiere recording of trumpeter Stockhausen’s duo with pianist Florian Weber, a relationship that spun off from Markus’ 6- piece world music ensemble Eternal Voyage. Initially Stockhausen wrote all of the material, but as the relationship grew Weber contributed tunes: there are also several impromptu performances in this set. After some early experiments with electronics the pair decided that they sounded stronger playing acoustically, making this an all-acoustic album. Which is not to say they aren’t open to a wide range of acoustic sounds. 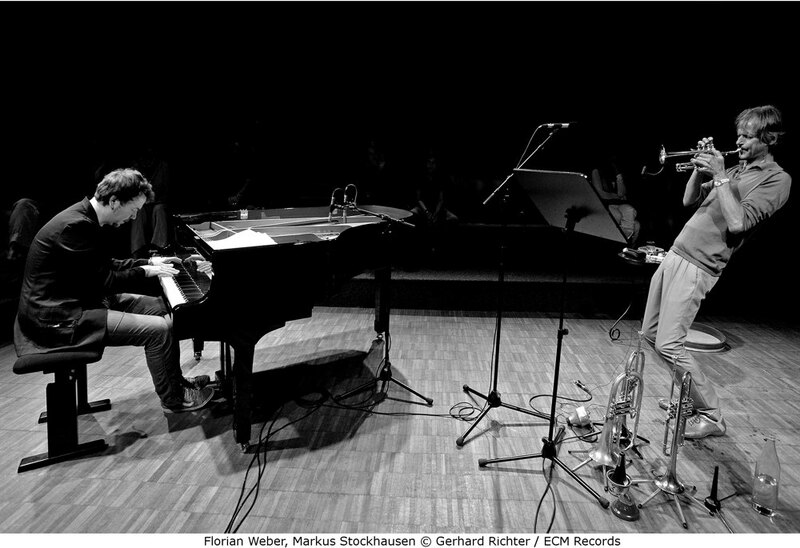 On “What Can I Do for You?” Weber begins the album on the inside of the piano, a gentle wash of sound that prepares the way for Markus’ entry on muted flugelhorn. Stockhausen’s gently swinging, melodic composition “Mondtraum” follows. Stockhausen always begins the first recording session with intuitive improvisation, or “intuitive music” (a term coined by his father, the pioneering composer Karlheinz Stockhausen). As there was no musical pre-agreement, most jazz musicians would simply call it “free improvisation.” Regardless of the label, “Ishta” is the luminous result. There are several other impromptu performances. For “Resonances” Stockhausen blew phrases into the body of the piano, creating a kind of duet (presumably with the damper pedal raised). The album’s three brief piano pieces—”Possibility I,” “Today,” and “Barycenter”—were also impromptu performances by Weber. 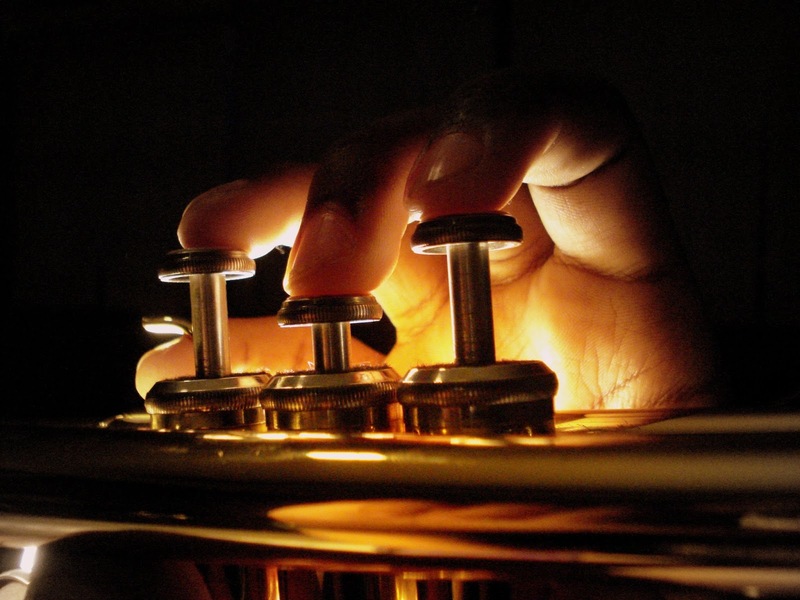 While there is no clear division between composition and improvisation, there are tracks with a more composed sound. 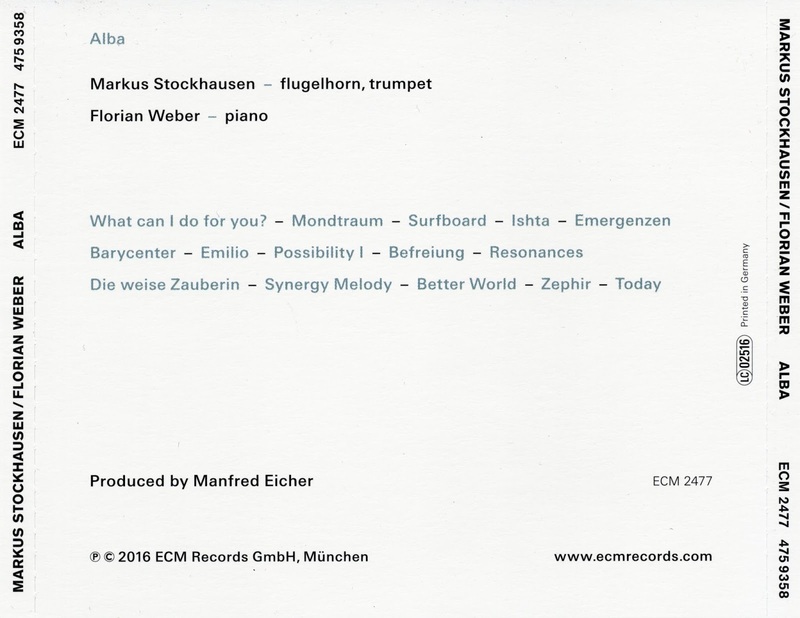 In addition to “Mondtraum,” recent Stockhausen commissions are represented by “Synergy Melody” and “Zephir.” Weber’s “Die weise Zauberin” also has a clear song structure. Composed or improvised, the duo produces a beautiful, introspective sound. It joins A Cosmic Rhythm with Each Stroke (2016) by pianist Vijay Iyer and trumpeter Wadada Leo Smith as a recent shining example of a trumpet and piano duet recording. 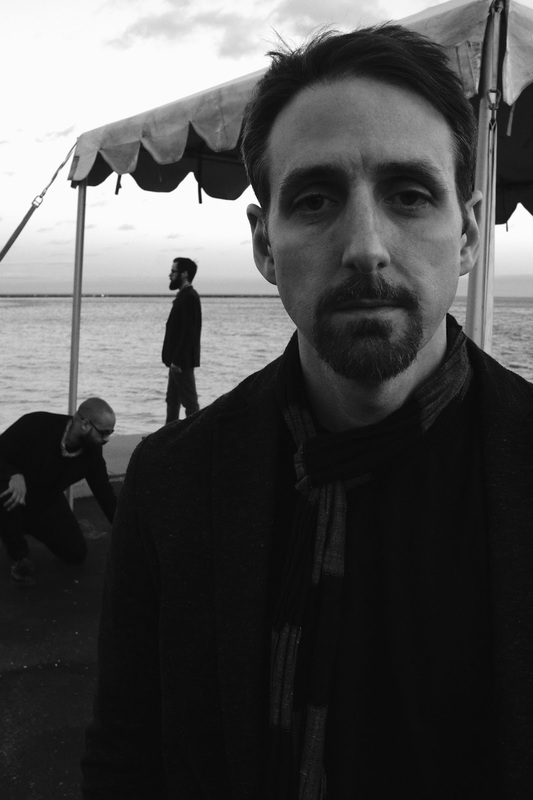 What eventually became the Joe Policastro Trio took shape in 2010 when bassist Joe Policastro landed a 3-night a week gig at Pops For Champagne in downtown Chicago. What many would have treated as a "background gig" quickly developed into an incubator for its members to write, arrange, and develop a collective voice in the way that only a band can over time. The group features guitarist Dave Miller and drummer Mikel Avery. Within this time, the band has developed a singular approach to "pop" music. While firmly rooted in jazz, the band's open-minded, inclusive nature also brings rock, old-school funk, soul, brazilian, and free improvisation to the surface while still keeping the aesthetic of an acoustic trio intact. Their debut recording, West Side Story Suite For Jazz Trio (2013), features the original lineup with Dan Effland on guitar and Adam Sorensen on drums. Their sophomore release, Pops! (2016) celebrates Pops For Champagne, the venue that gave birth to the group, and highlights the "pop" music that has become a signature part of its sound. It features the current lineup along with special guests Andy Brown and Andy Pratt, both of whom have regularly appeared with the trio. 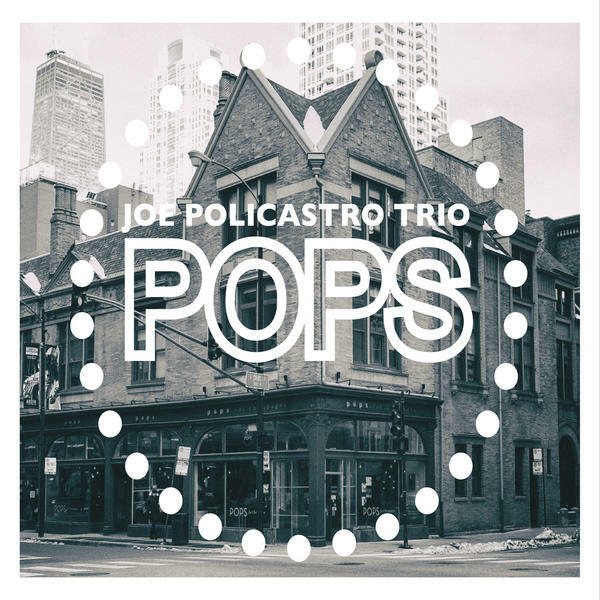 The sophomore release of the Joe Policastro Trio celebrates Pops For Champagne, the venue that gave birth to the group, and highlights the "pop" music that has a become signature part of their sound. Featuring music by Prince, Tom Waits, Stevie Wonder, The Pixies, and others. Reed player and composer Steve Alford leads this Asheville-based improvisational rock/jazz big band. 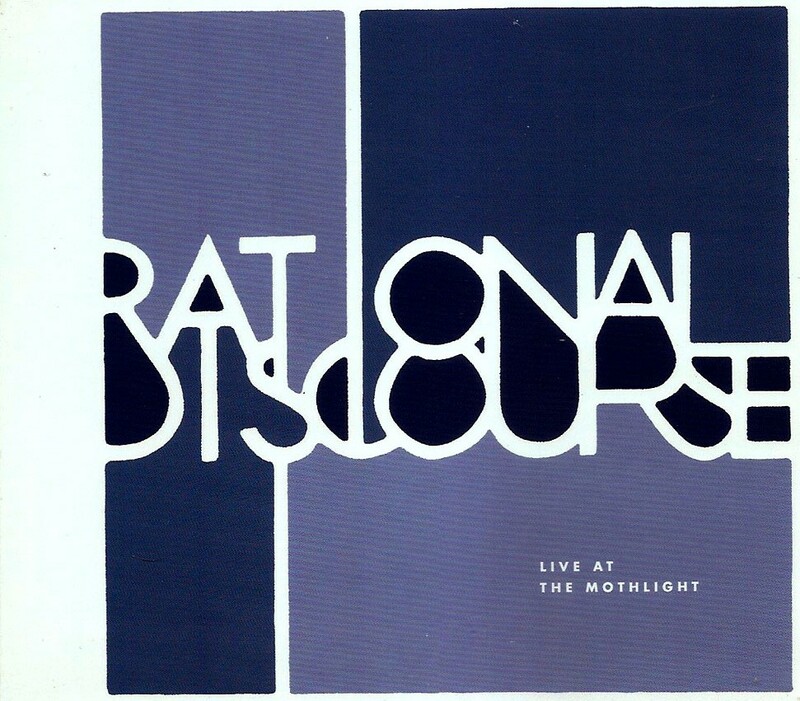 With a full brass section, two bassists, two percussionists and guitar/synthesizer, Rational Discourse’s music features unusual rhythms and small-group improvised sections, framed by striking full-band composed sections. Alford, a member of UNC Asheville’s music faculty, will be joined by fellow faculty members Jacob Rodriguez on sax and Justin Ray on trumpet, both regular members of Grammy-winner Michael Bublé’s band. For more information, visit rationaldiscour.se. 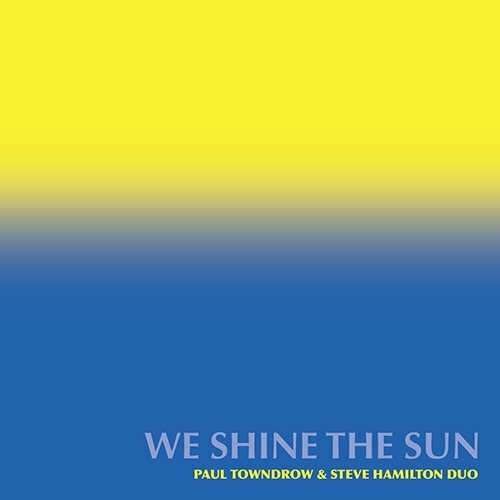 Paul Towndrow (Alto Saxophone) and Steve Hamilton (Piano) have collaborated for over 15 years in a range of ensemble projects. 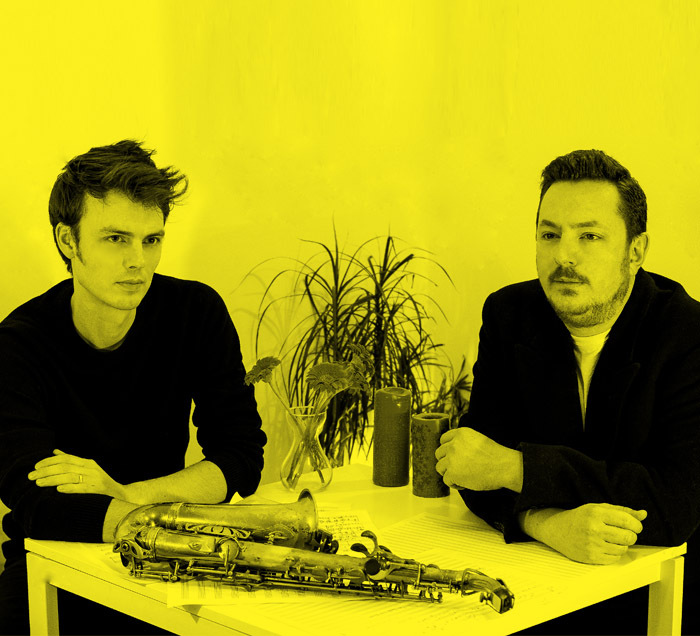 In this new intimate duo setting, compositions and improvisations are delivered in their purest form, allowing for the equal co-existence of musical architecture, and deep space. 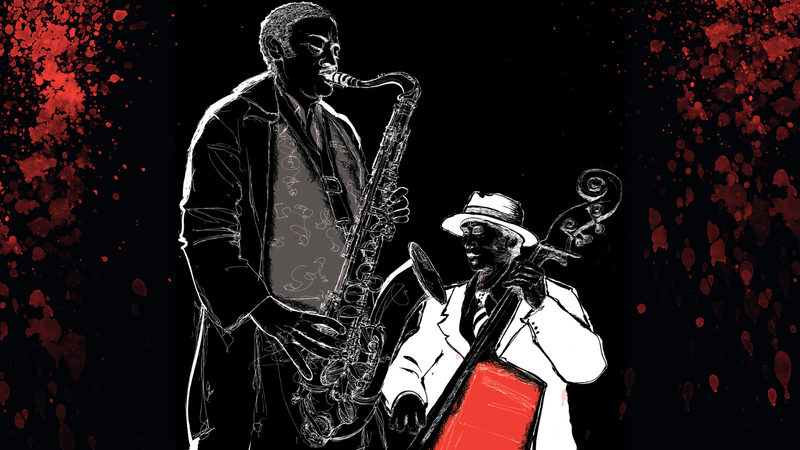 Crossover influences range broadly from Coltrane to Bartok, from early jazz to celtic folksong, and from world music to free improvisation. 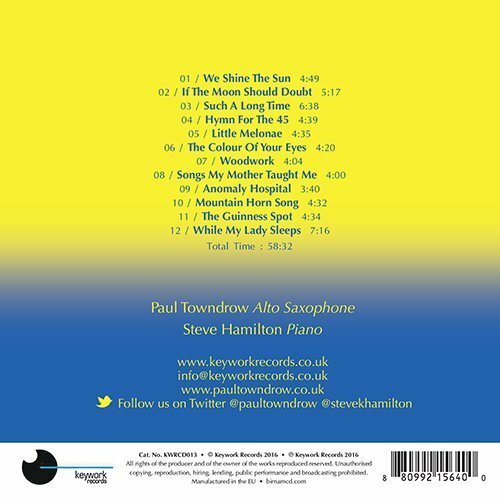 The album comprises 7 new compositions by both Paul and Steve, and 6 ‘cover versions’ drawing from a mixed bag of sources and composers, spanning multiple genres. This includes music by John Scofield, Bela Bartok, Charles Ives, Jackie McLean, and Bronislaw Kaper. The title draws on a quote from writer and philosopher Alan Watts, as he muses on the nature of consciousness and, and our effortless in being at one with the universe. Playlist Summary for Tom Ossana / Dane Brewer – The Thin Edge – June 29, 2016 MST 7:00 to 9:00p.m. 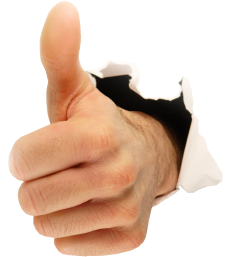 There are several ways of thinking about "Turnaround," which means, essentially, an abrupt or unexpected change, especially one that results in a more favorable situation. We begin this edition of the Thin Edge listening to the way Hank Mobley understand it. From his 1965 Blue Note The Turnaround we'll hear the title track, a tune in which he tries to merge "Boogaloo," a modern dance to rock-and-roll music, originally popular in the 1960s, with jazz. The tenor saxophonist enlists the aid of trumpeter Freddie Hubbard and pianist Herbie Hancock. Ornette Coleman, one of the major innovators of the free jazz movement of the 1960s, thought about the idea in a completely different way. The Simple Acoustic Trio breathes new life into Ornette's conception from their 2000 20TH GETXO JAZZ FESTIVAL. Marcin Wasilewski - piano, Slawomir Kurkiewicz - bass and Michal Miskiewicz - drums perform Ornette's "Turnaround." Peter Fraize - Facts + Figures (2016) is next with "The Ides of March," referring to March 15 in the ancient Roman calendar by several religious observances and became notorious as the date of the assassination of Julius Caesar in 44 BC. Fraize plays tenor with a guitar, piano, bass and drums ensemble. A female trombonist gaining stature in the jazz milieu closes this half with her penned "It's Not Safe" from Break Open Records (2016) Shoebox View. 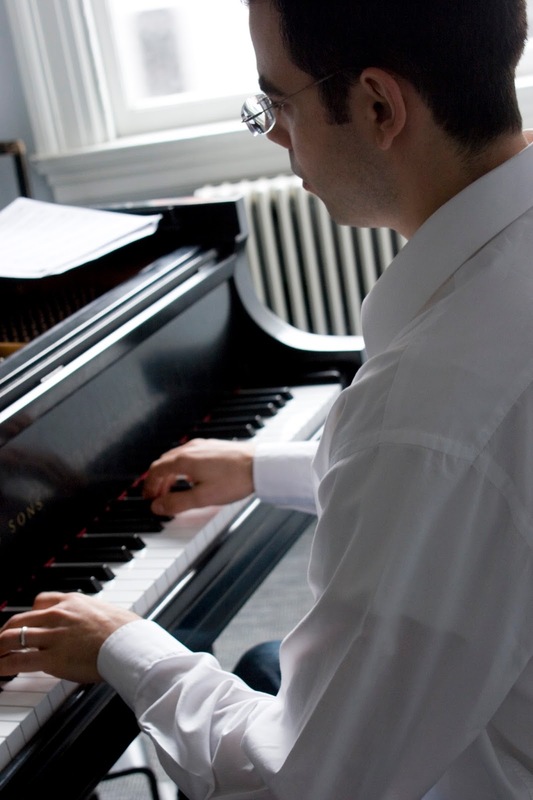 Warren and Dubin's "Summer Night" is next performed by pianist Antonio Cicca's Quintet's 2016 Cellar Live Volare featuring Cory Weeds' tenor and Benny Benack III's trumpet. From Juan we get a cover a Horace Silver's "Strollin'" as conceived by Greg Abate & Phil Woods with the Tim Ray Trio and their 2016 Whaling City Sound's Kindred Spirits' Live at Chan's. Joan Claver is next with his piano trio's take on The Police's "Bring on the Night" from Fresh Sound New Talent's 2016Triangle. Before Quincy Jones introduced a jam on Dizzy Gillespie's "Manteca," he said, "On this day in 1990, my brother Nelson Mandela was released from Prison. I happened to be hosting Saturday Night Live that night, and we took that opportunity to celebrate in typical SNL fashion. I've never met another human being like Madiba (the clan into which he was born); he was one beautiful cat." I recorded that SNL episode and transferred the tune to mp3. Of the three soloists I can name only one: Michael Brecker, at the tail end. Let's start the third half with Lee Konitz, a giant in the formulation of modern jazz, particularly in the late forties and early fifties. 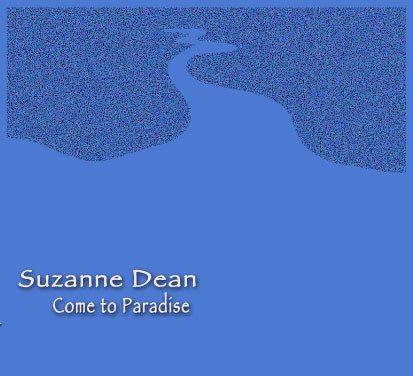 "Ice Cream Konitz," a tune I played as a guest host on Paul Smith's jazz show on KDYL a.m. radio back in the mid-fifties, is a track on Lee's Subconscious Lee released by Prestige in 1950 with bandmates Billy Bauer - guitar, Sal Mosca - piano, Arnold Fishkin - bass and Shelly Manne - drums. 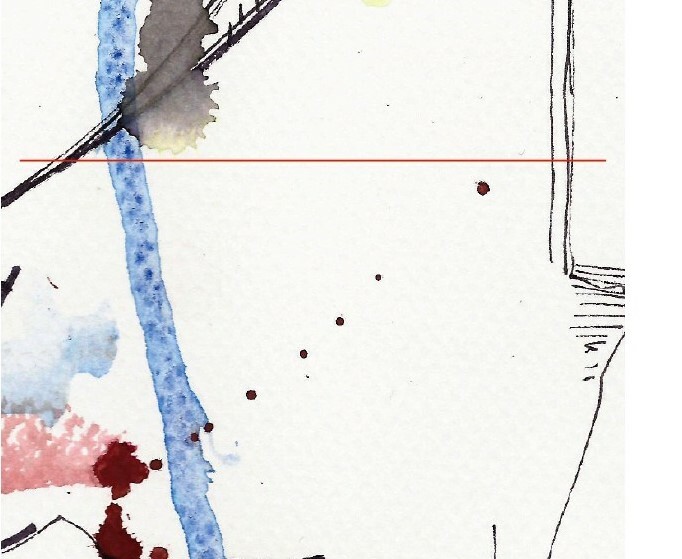 I'm guessing Ryan Carraher is familiar with this outing, as well as the Lennie Tristano catalog, when he put together his 2016 Vocturnal, featuring the guitarist with Brandon Wilkin's alto in a performance of the title track. Hans Sturm, Tom Larson & Sylvain Rabbath's A Day in Paris (2016) RoJ Team is next with "LaFarora," which honors Scott LaFaro, whose pioneering approach helped Bill Evans invent the modern piano trio – but the name also alludes to the Pakistan city Lahore, “famous for Qawwali Devotional music,” says Sturm (which accounts for the eastern cast to the theme). Corey Christiansen wraps up this half with his 2016 Origin Records' Factory Girl in a bluesy take on Corey's "She's Gone." Branford Marsalis Quartet's Upward Spiral (Marsalis Music 2016) GAB/RoJ helps us get twitterpatted with Antonio Jobim and Aloysio de Oliveira's "Só Tinha de Ser Com Você" (It Had to Be with You) as sung by Kurt Elling. Brand new to KZMU's library we'll hear "You're My Everything (Dixon/Young/Warren) from Miles' 1958 Prestige Relaxin' with the Miles Davis Quintet featuring Coltrane, Red Garland, Paul Chambers and Philly Joe Jones, Miles first great quintet. Karrin Allyson is next with a clever cover of Coltrane's "Equinox" with lyrics added by Chris Caswell. They call the result "Long Way to Go, A." We'll hear Jon Hendricks and Nancy King help vocalizing and the tenor of Frank Wess. Tim Withee's request is honored with Monika Ryan singing her penned "The Night Before" with Chris Winters leading the way on the guitar. This coming from her 2016 Fly. From RoJ's GAB we get Mike Melito's New York Connections (Weebop Records 2016) as he covers Warren and Gordon's "I Wish I Knew." The drummer gets help from Jack Weldon's tenor and Jeb Patton's piano. June Christy keeps us transfixed wrapping up this romantic titillation with her sultry take on Wolf and Landesman's "Do Nothin' Till You Hear from Me" from her 1959 Ballads for Night People. A special thanks to KZMU's Music Director, Serah Mead and the troops @ RoJ for their help putting the show together: Agenor (BRA), Chris do Brasil (BRA), Domi & Victor (SPA), GAB (BEL), JR (SPA), Javi (SPA), Juan/Jazzzz61 (SPA), Lira (BRA), Luisa, Menos Que un Perro (ARG), Marcos (BRA), Melokan (VEN), Raz (ISR) and Sonia (SPA). Also friend, Raul Boeira, the Brazilian based in Passo Fundo and Spain's Javier Carrete.